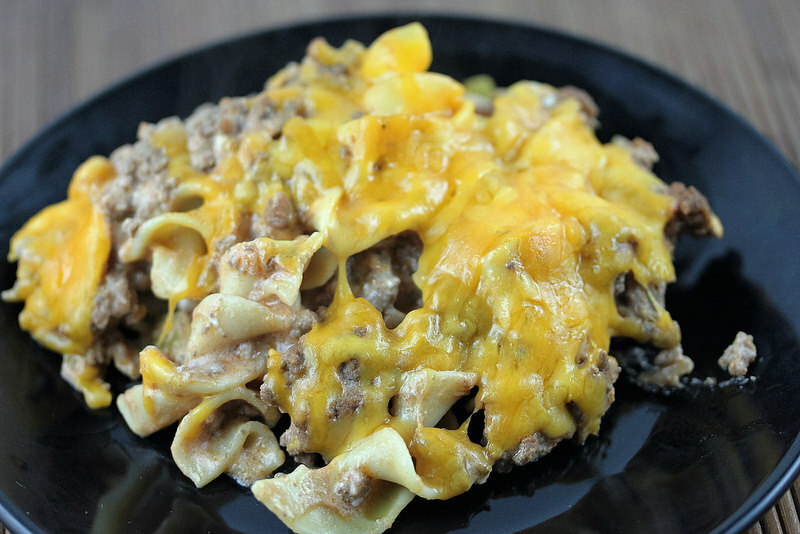 A combination of cheeses with sour cream give this casserole a unique combination of flavors. 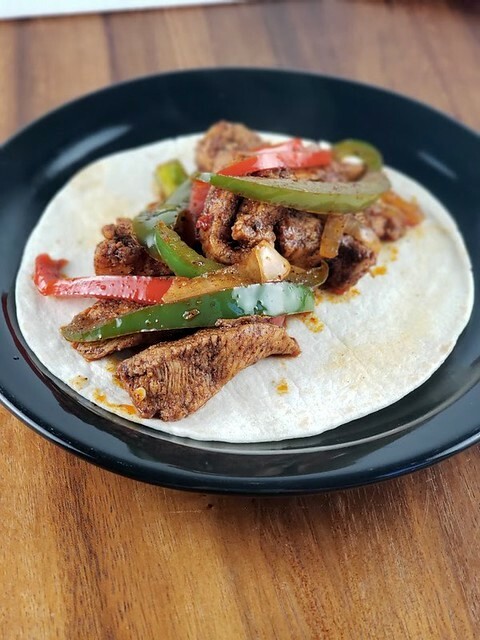 This is a simple and quick recipe so you can have supper on the table in less than an hour – making this a great recipe for after work, or school. 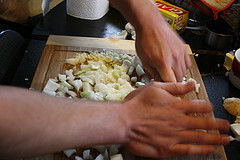 while pasta is cooking in a large skillet over medium high heat cook burger and onion until burger is no longer pink inside; drain if necessary. Off heat and mix in the tomato sauce, sour cream, cream cheese, sugar, and garlic salt. Mix until thoroughly combined. 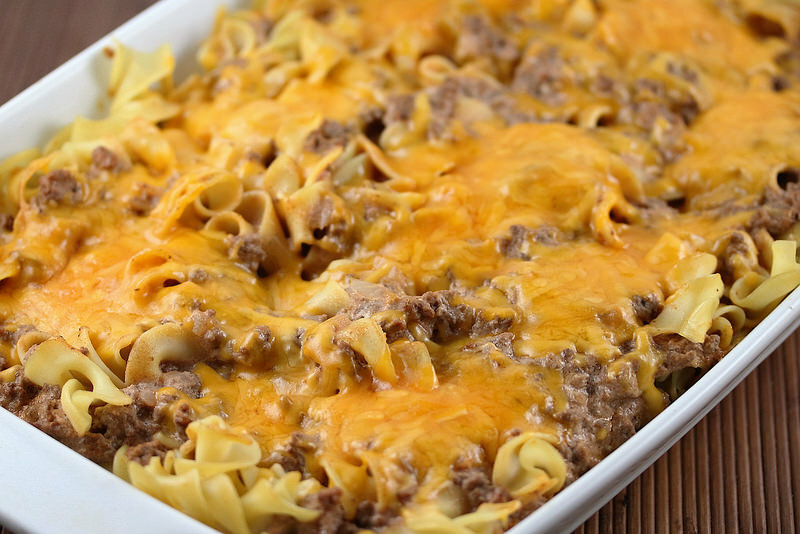 Lightly spray a 13 x 9 casserole dish with cooking spray and spread half of the noodles over the bottom, and then layer half of the meat mixture over the noodles; repeat the process to finish. Cover with aluminum foil and bake for 30 minutes or until heated through. Remove the foil and sprinkle the cheddar cheese over the top, return casserole to oven uncovered and continue baking until cheese is melted.